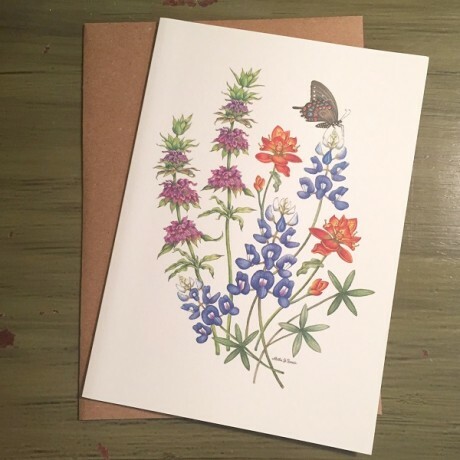 Aletha Saint-Romain, an Austin based illustrator, specializes in traditional watercolor botanical painting. 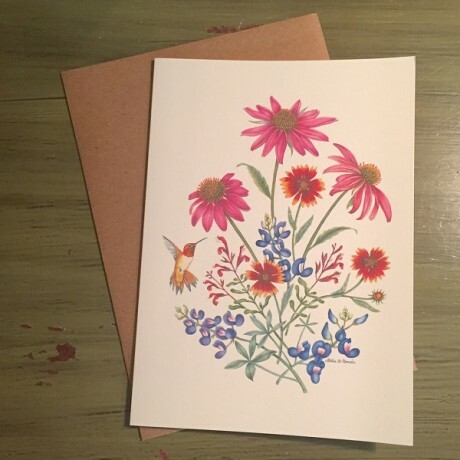 This set of 10 notecards includes reproductions of original watercolor paintings exclusively for Texas Highways. 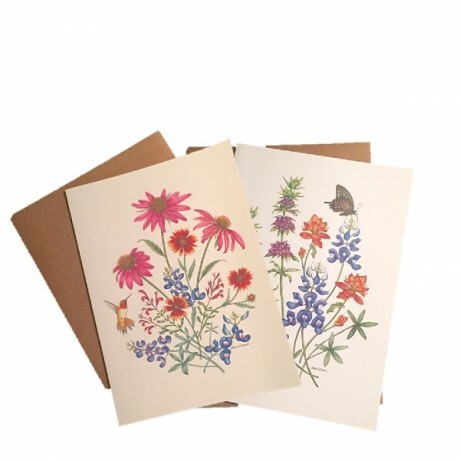 Both paintings showcase the natural beauty and mystery of Texas wildflowers. 10 notecards with natural envelopes packaged in plastic box. Notecards measure 5" x 7".